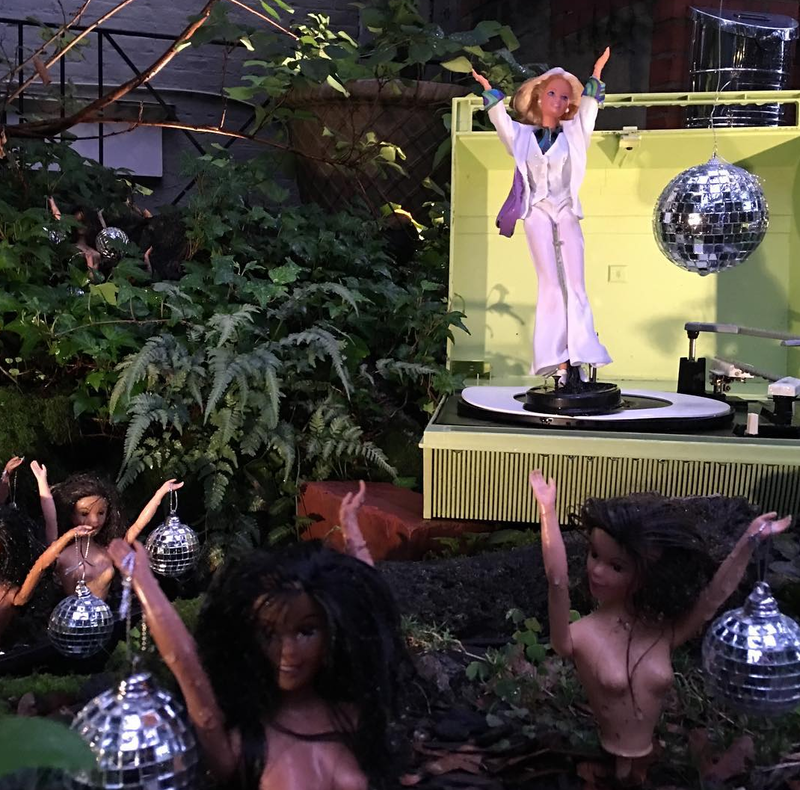 Much thanks to my friend Evan who earlier this year turned me on to the whimsical Instagram account, Barbie Pond on Avenue Q (in DC). I will have to make sure I check out this garden decorated with Barbie and Ken dolls in a variety of poses, dress and themes. Follow him on Instagram here, instagram.com/barbie_pond_ave_q.